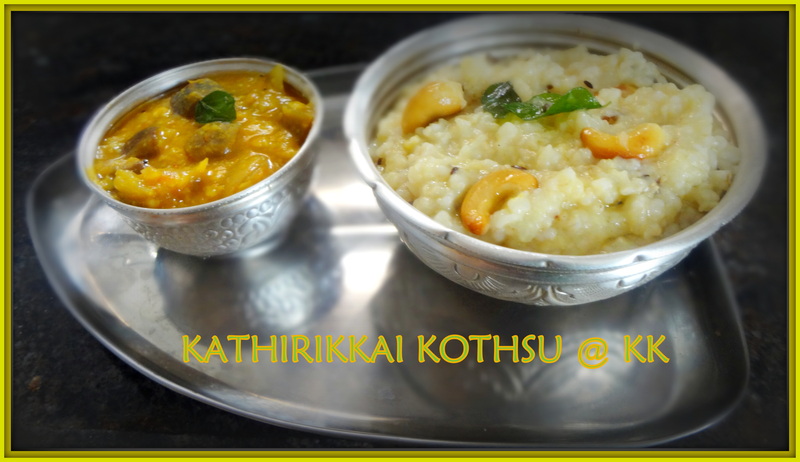 This dish is an ideal combination/accompaniment with pongal/idly/upma. A very quick to do and healthy side dish. 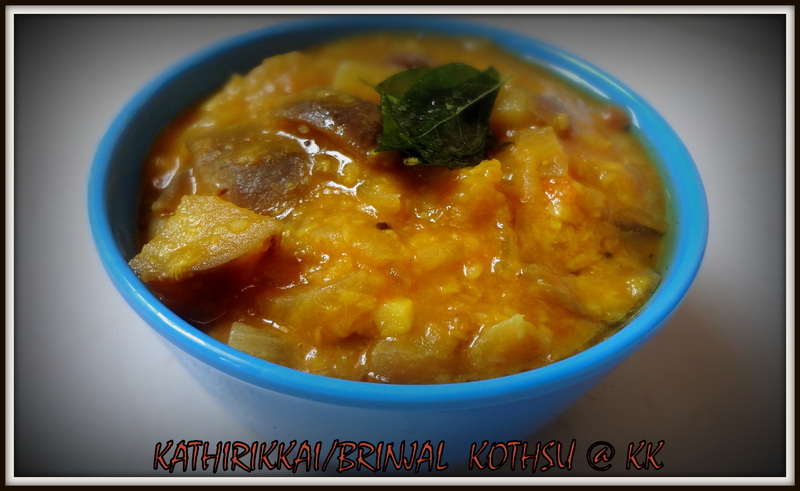 A very simple dish which can even be a baby food post 8 months. 1.Add oil in a pan and heat it. 2.Add the chopped onion,tomato and brinjal one after the other and saute them.until they turn soft. 3.Add hing,turmeric powder and sambar powder and give a quick stir. 4.When they blend well,add water to get the brinjal cook well. 5.Close the pan with a lid and let it cook in medium flame. 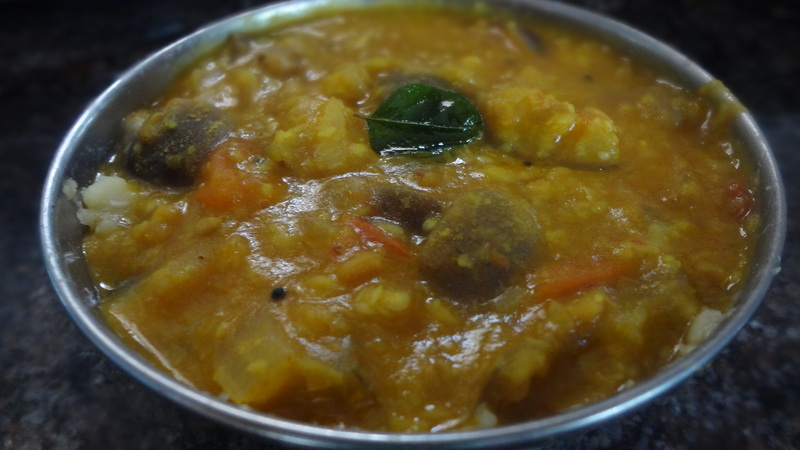 6.When the brinjal is cooked to 80% add tamarind extact and mix well. 7.Add the mashed dhal and cook it for 5 minutes. you can adjust the level sambar powder as per your taste. It has to be in a semi gravy state . Adding chopped shallots instead of onion enhances the taste. Avoid salt and reduce spicy level for babies less than 1 year. Congrats!! dear on your 100th post.